4.NBT.1 and 5.NBT.1 can be really tricky standards to teach! 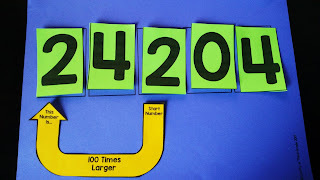 Sometimes students have difficulty understanding that the value of a number is different based on the place it is in. 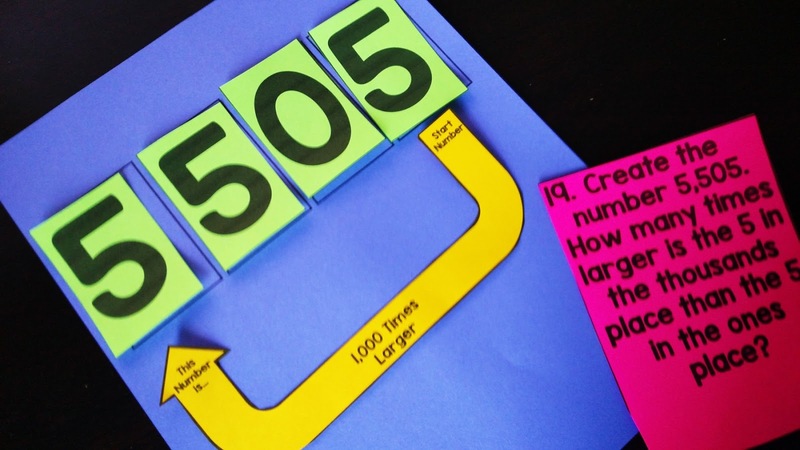 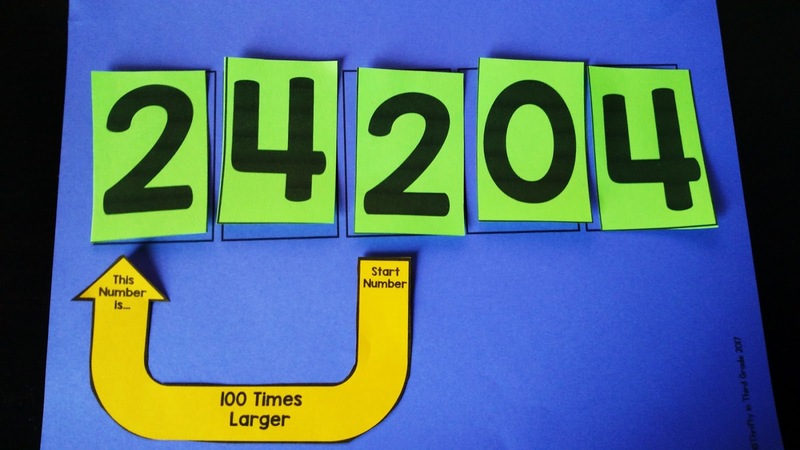 I created these arrow manipulatives to help students see when how a number can be 10x, 100x, 1,000x, and 10,000x larger or smaller. 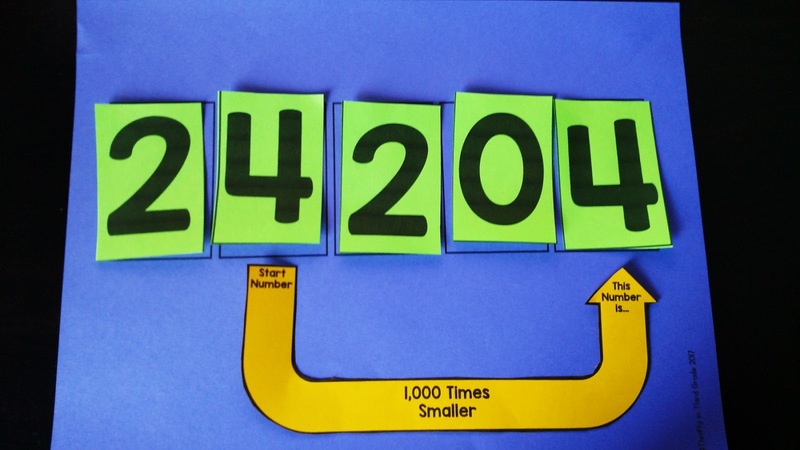 There are also fractional arrows for fifth graders and decimal point manipulatives as well. 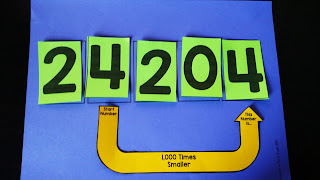 Students build the numbers on the work mats and then use the arrows to compare the sizes of the numbers.